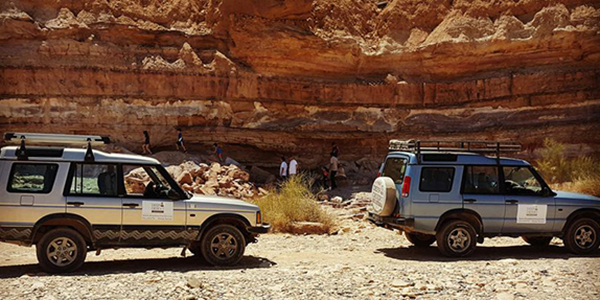 Private Negev-Desert off-road tours: Mitzpe Ramon, Sde Boker and more! 4x4 Jeep tours around Mitzpe Ramon, the Ramon Crater (Makhtesh) and Sde-Boker, Rappelling (abseiling) off the cliff of the Ramon Crater, desert Hiking in Israel - in the Ramon Crater, multiple day trekking expeditions, Helicopter tours of Israel and the desert, outdoor Yoga workshops, authentic Bedouin hospitality, Stargazing, real desert Camping & luxury camping in Israel, unique programs, and planning services for Corporate travel: incentives and executive retreats. So, if you're looking for attractions and things to do in Mitzpe-Ramon and the Negev Desert - here we are! Contact us any time for general information about the area, for and for booking your unique desert package.